...by Japanese photographer Eiji Ina. He also photographs industrial waste, among other things. Yeah, those are simply brilliant. 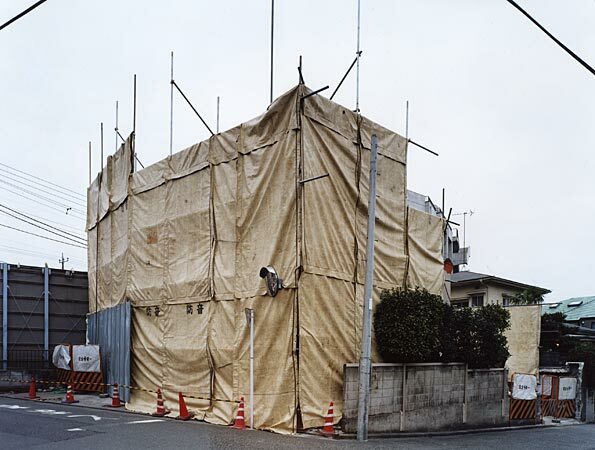 He photographs industrial waste? Well I am so glad somebody is. That means I don't have to. I fully support a photographers right, nay, obligation, to photograph whatever stirs their soul. Likewise, we all get to have an opinion about it. I also reserve the right to change my mind. Having said that, I kinda like some of the waste pictures. Thanks for the link. An interesting link, but I missed seeing gorofu driving ranges, surrounded by high walls of mesh fencing reaching to the heights of buildings. Perhaps they are too ordinary for Japanese eyes to notice, but to a visitor they are unique and quite alien. The buildings wrapped for see-thru billboard installation from sidewalk to building top (where the cellphone antennas go) are, on the other hand, common sights now.